Nature and Earth united with science. Hair Treatment Alberto-Culv Active Ingredients: Alcohol Denat. ; Hydrofluorocarbon 152A; VA/Crotonates/Vinyl Neodecanoate Copolymer; Octylacrylamide/Acrylates/Butylaminoethyl Methacrylate Copolymer; Aminomethyl Propanol; Dimethyl Stearamine; Fragrance; Linalool; Limonene; Water (Aqua); Polyglyceryl-3 Distearate; Polysorbate 60; Stearic Acid; Palmitic Acid; Myristic Acid; Guar Hydroxypropyltrimonium Chloride; Triticum Vulgare (Wheat) Flour Lipids; Persea Gratissima (Avocado) Oil; Tetrahexyldecyl Ascorbate; Glycine Soja (Soybean) Sterols; Alpha-Glucan Oligosaccharide; Ceramide 3; Ethylhexyl Methoxycinnamate; Butyl Methoxydibenzoylmethane; Tocopheryl Acetate To lock in your finished style, hold can 12-14 inches from hair and spray. Uses: Get long lasting control for hard to hold styles. 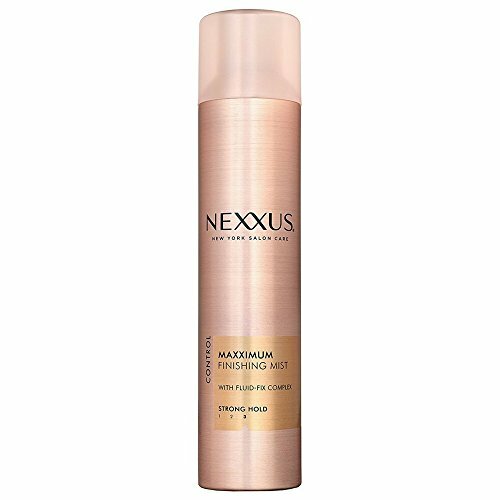 This technologically advanced formula provides superior hold and a brilliant sheen without flaking, dulling or causing buildup. Dries almost instantly to prevent stiffness and stickiness. Works great as a finishing spray or creative styling tool. Fortified with exclusive NEXXUSPHERE time released technology, containing nutrients, antioxidants and UV protectors. Experience Nexxus luxury. Scientifically developed. Salon proven. Never tested on animals. FLAMMABLE. Do not use product near fire, flame or sparks. Do not smoke until hair is thoroughly dry. Avoid spraying in eyes. Contents under pressure. Do not puncture, incinerate or crush. Do not expose to heat or store at temperatures above 120 degrees F (49 degrees C) as can may burst. Do not use if spray button is missing or defective. Keep out of reach of children. Use only as directed. Use only in well ventilated areas. Intentional misuse by deliberately concentrating and inhaling the contents can be harmful or fatal.